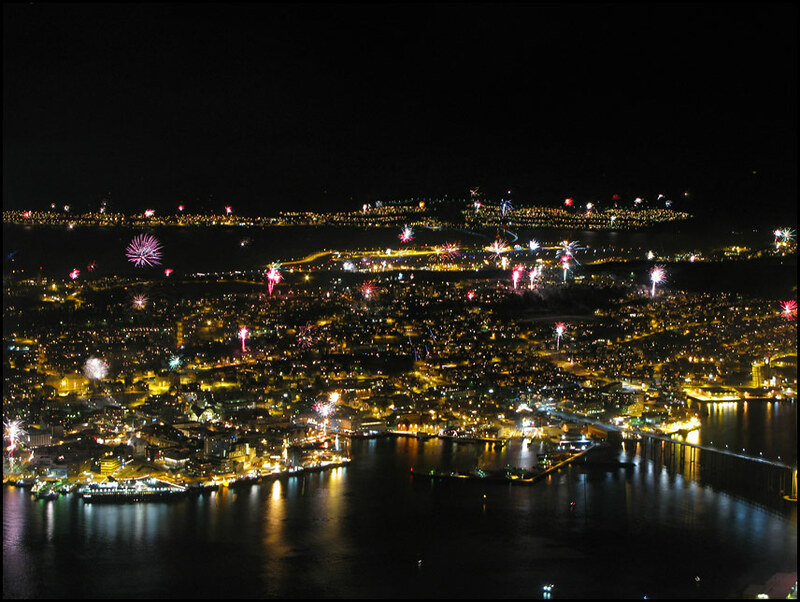 At night we took the cable car up the mountain to watch the fireworks over Tromsø island. It was very busy, in fact we were very lucky to get into the last cable car up, everybody in the queue behind us was sent home! They also lit fireworks from the top, it was very pretty! 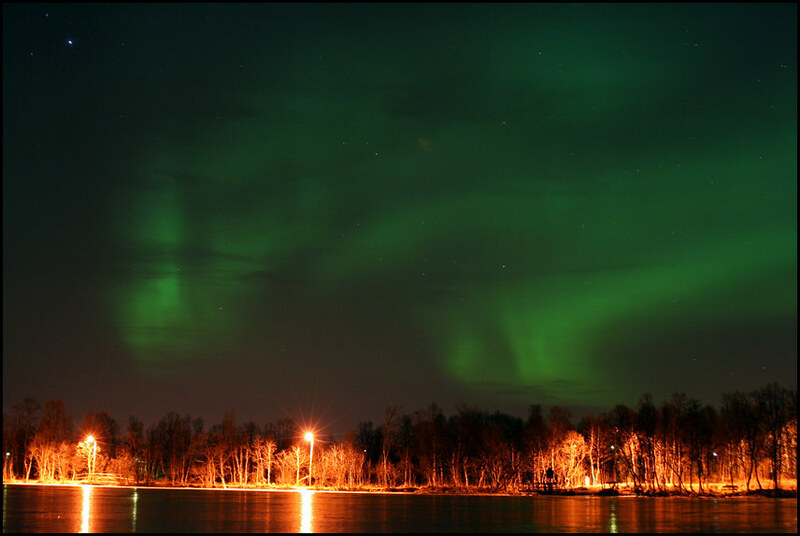 And as if all that wasn’t enough, the northern lights were visible too! The photo on the right is a new year’s card I’ve made out of a photo we took up there. This morning when we woke up it was snowing like crazy! 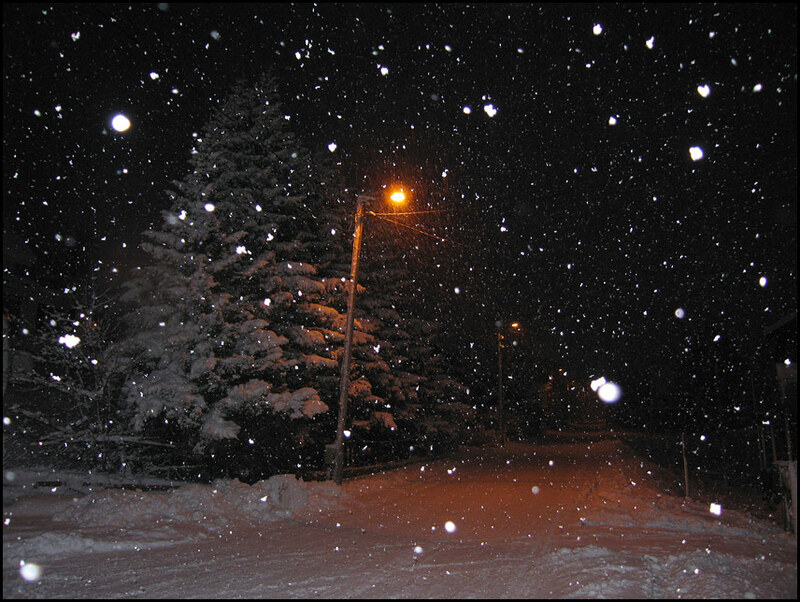 And it kept on snowing all day, so in no time we had a LOT of snow, very exciting! I went for a walk to town and took some photos. It takes only about 15 minutes to get there, downhill on the way so it takes a bit longer to come back as the hill is quite steep! 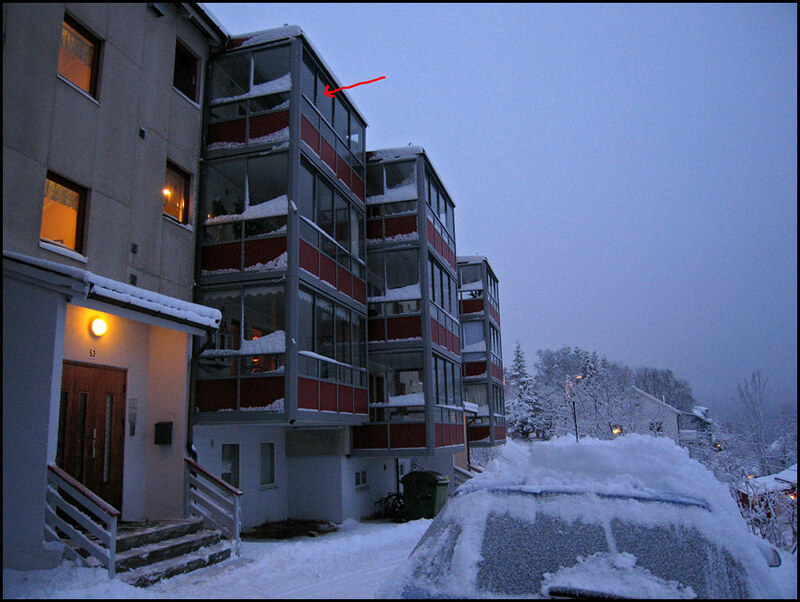 In the first photo you can see our flat, if you enlarge it I have put an arrow pointing at our balcony. This is just around the corner from the flat, there is actually a skeleton in the window of the little hexagonal hut – it scared me the first time I walked past! 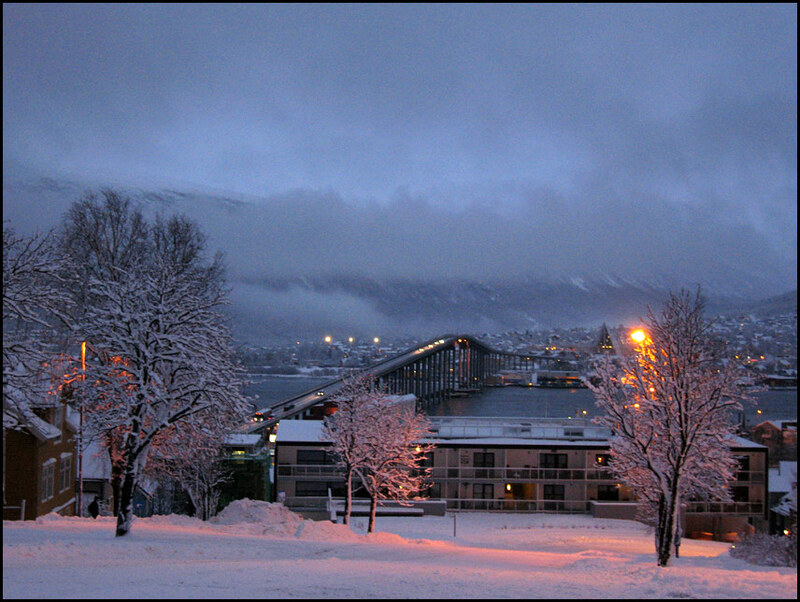 Ok, now you have an impression of our first week in Tromsø! I’m really enjoying it here. I’ll be here for another two weeks, then I have to be in Norwich for a bit. More soon! Jouw photos zijn uitzettend mooi. Ik ben jaloes want ik mis sneuw hier, maar ik vind het steeds leuk en lekker in Nederlands te wonen. Ik hoop dat wij jullie snel kunnen komen bezoeken. 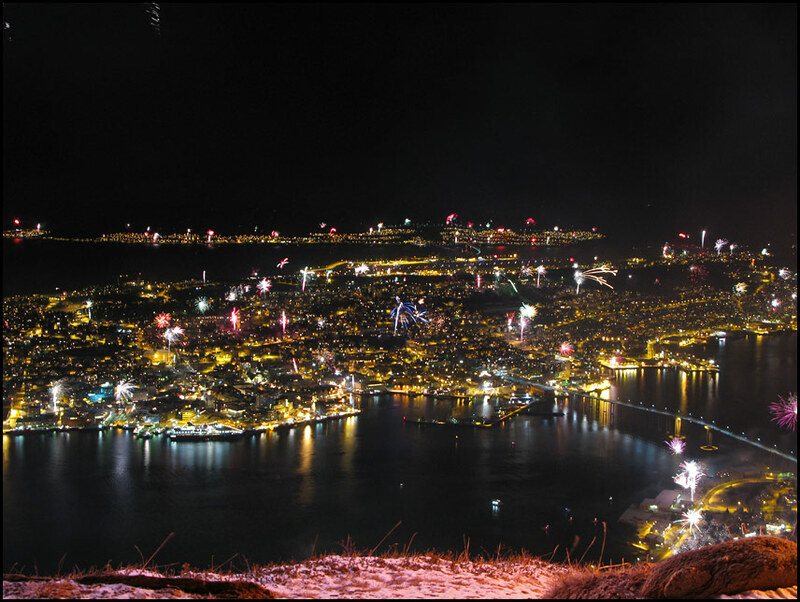 yay, new year in tromso! 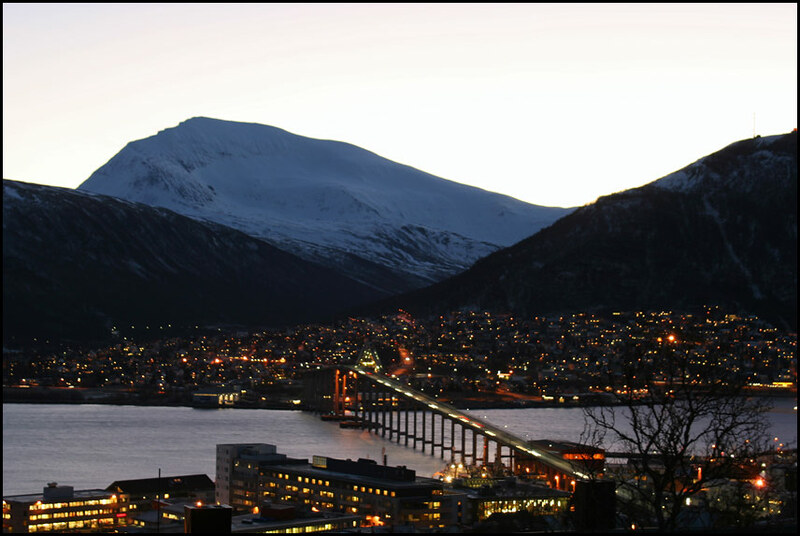 couple of years ago, i stood on the bridge between tromsoya and the main land. awesome views too but sooooo cold!!! In August you have almost 24 hours of sunlight, which means you will not be able to see the northern lights… Maybe towards the end of August or in September, but you have to be lucky! You won’t get snow in August, but on some of the mountains there will still be some snow left over from the winter. 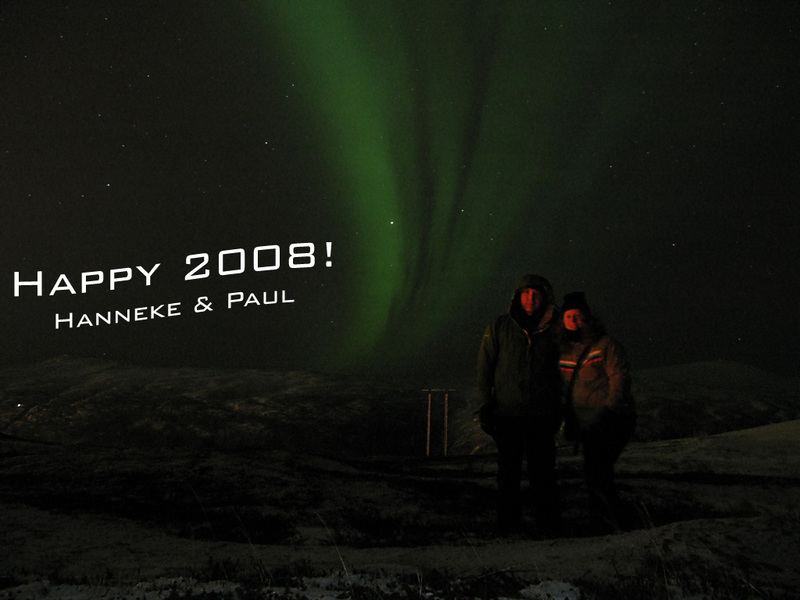 Have a look here:”http://blog.hanneketravels.net/2008_08_01_archive.html”to see what Tromso is like in August – very beautiful! 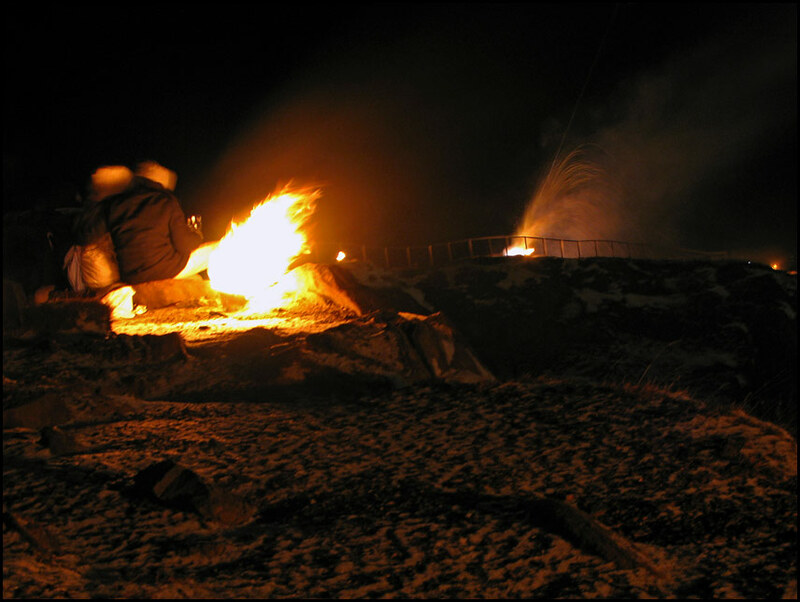 But if you want to see northern lights, the winter is the best time to come. Hi, gorgeous photos! 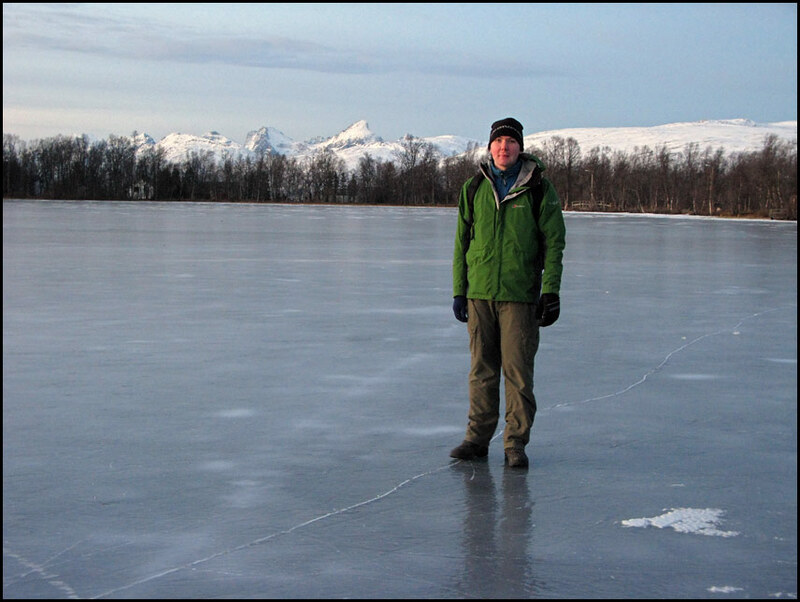 Do you know if that lake would still be frozen in late March? and how easy is it to get there from, say, the centre of town? I want to travel there in March and would love to see some similar scenery! 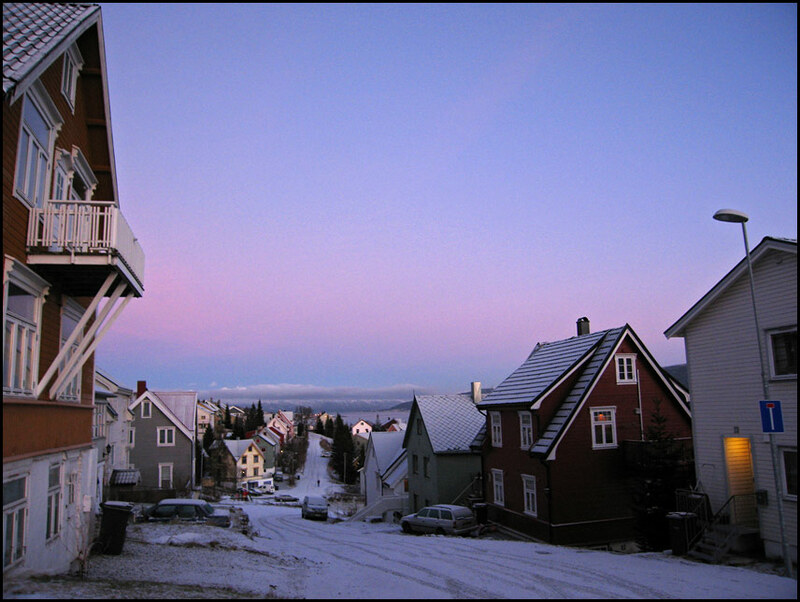 Great that you’re planning a trip to Tromso in March! Let me know if you have any other questions or just want some advice 🙂 I still live in Tromso! Hey cool, thanks for your quick response! I do have some more questions actually.. like, what are our chances of seeing the Northern Lights in late March? and is there another pond or lake or something that I could skate on? 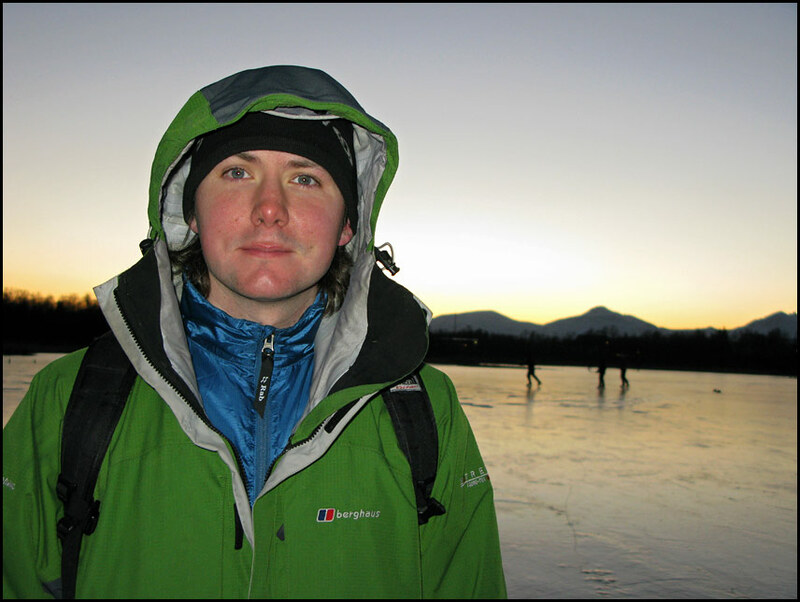 I’m really keen to skate on natural ice! 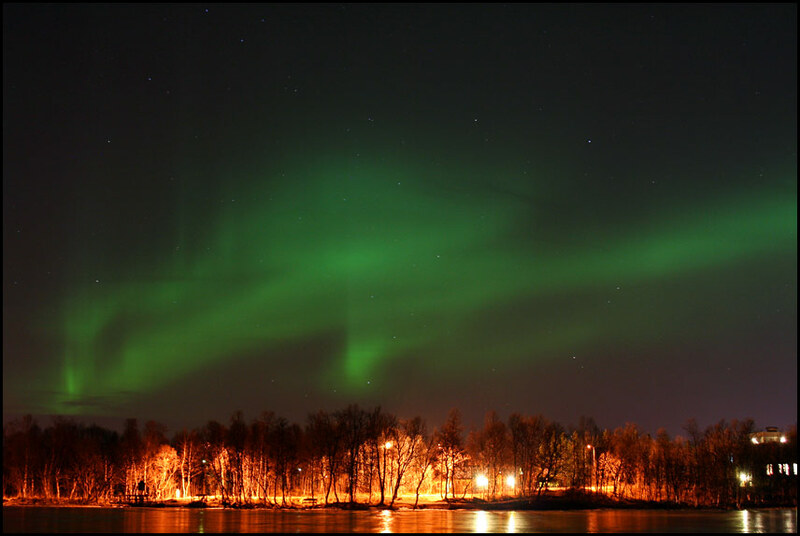 Normally the northern lights are still visible in late March, so you should have a good chance! They haven’t been very active lately – the solar cycle has been at a minimum, but should start to increase, hopefully soon! 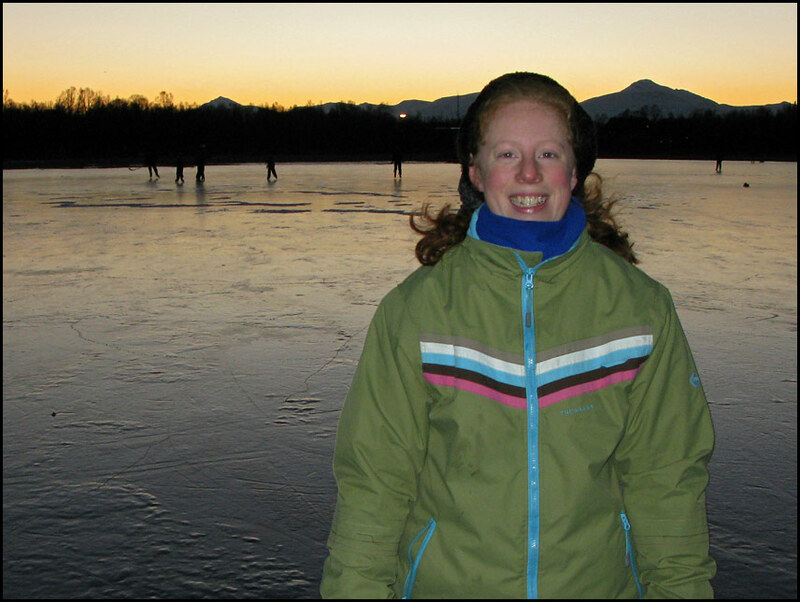 I’m not sure about ice skating on ponds/lakes around Tromso, if you find anything, let me know! 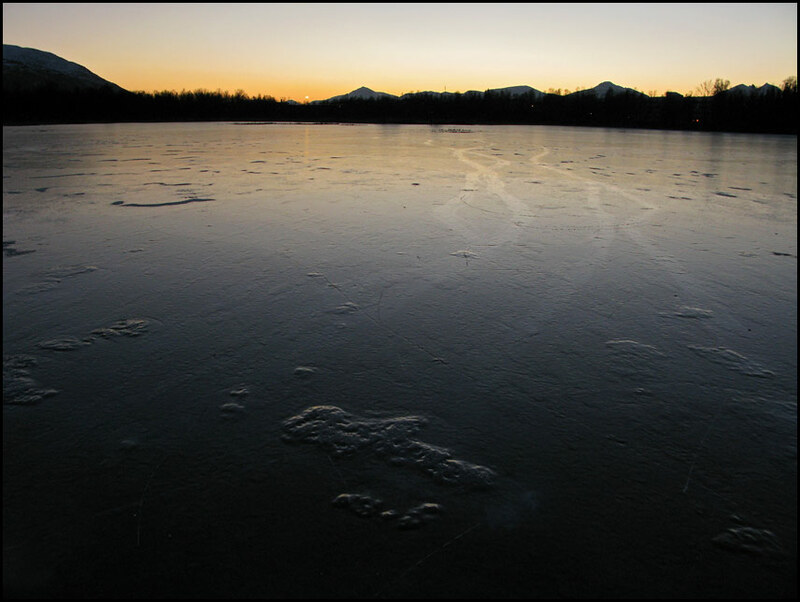 I have my skates here and would love to use them 🙂 But it seems all lakes get covered in snow and they are not cleared so it gets really hard to skate on them – pity! 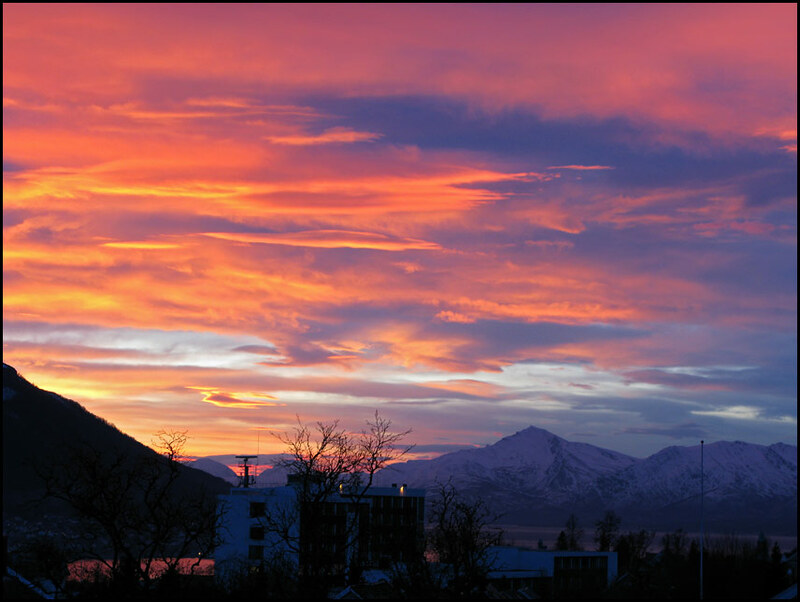 I’ve now booked the flights for Tromso in late March, Yay! I found a tour guide photographer bloke who drives people around chasing the northern lights, so hopefully I can get in on those tours and see a display! Also looking forward to meeting huskies and just playing in the snow. I’ve been looking some more on Google for outdoor skating but haven’t found anything yet; I will let you know if I do though! Fingers crossed you get a good northern lights show! We had a great one last week (see here for my photos!) and the chances for the coming week are looking good too. Huskies and dog sledding is lots of fun! 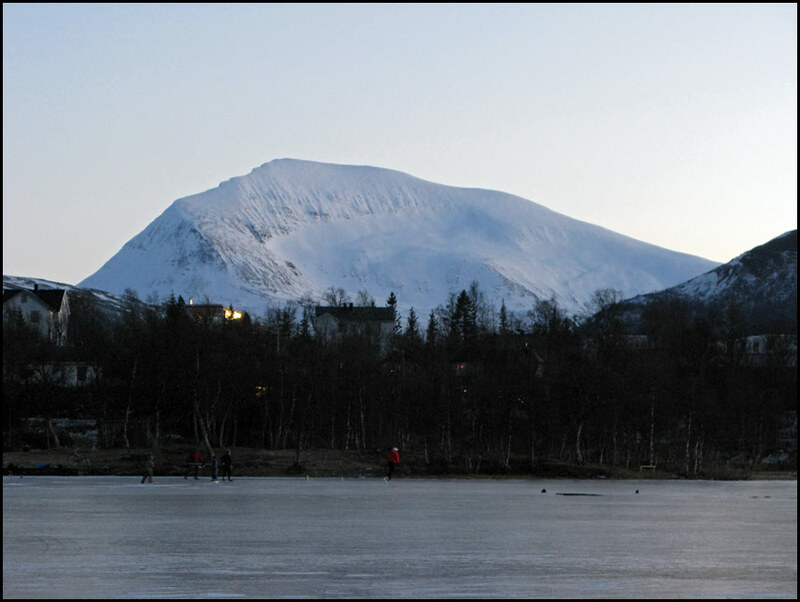 I can recommend you the Tromso Villmarkssenter, I did a trip with them a few weeks ago when my sister was visiting. See here – we had lots of fun! Hope you have a great trip! And if you would like to meet up for a drink in town, or some skiing perhaps 🙂 let me know! Wow those photos are amazing! It must be an experience living there! Hmm yeah it would be good to meet up with a local for a drink, you could tell us about what it’s like living there! If you do want to do this, how should we get in contact? If you could post your email address in a comment, I’ll write you with my contact details etc… I promise to remove your comment as soon as I get it, so your address is not for everyone to read. Hope that works! Are all these photos taken in late Dec and early – mid Jan? 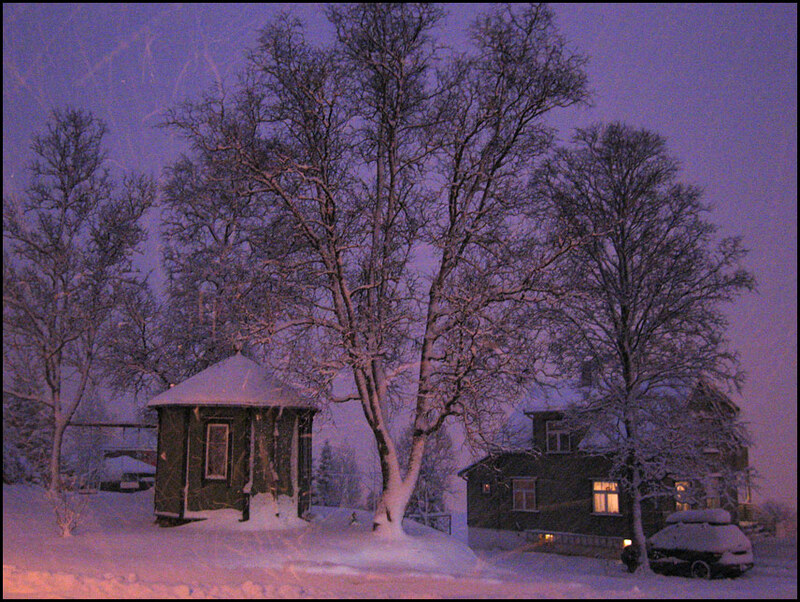 I didn’t know it got so light in Tromso in winter. 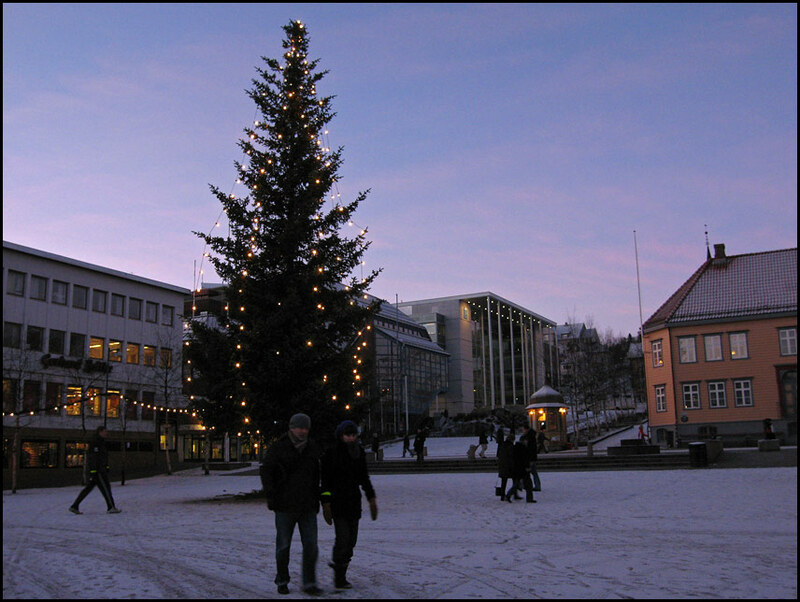 I’m moving there next January! Thanks for posting these beautiful pictures! Yes, these photos were all taken between Dec 31 and Jan 8. When there are no clouds, the sky still gets quite light for a few hours even though the sun isn’t visible. 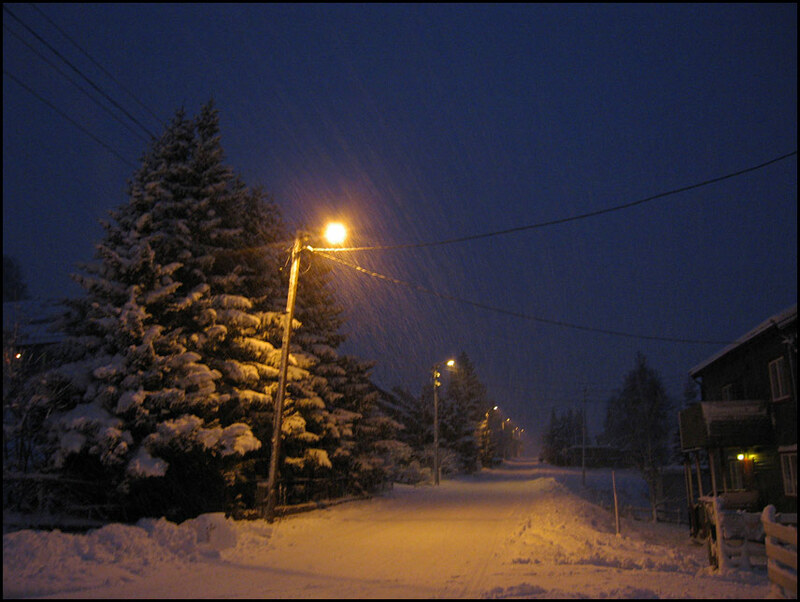 This light can be really beautiful! On cloudy days it’s a lot darker though. 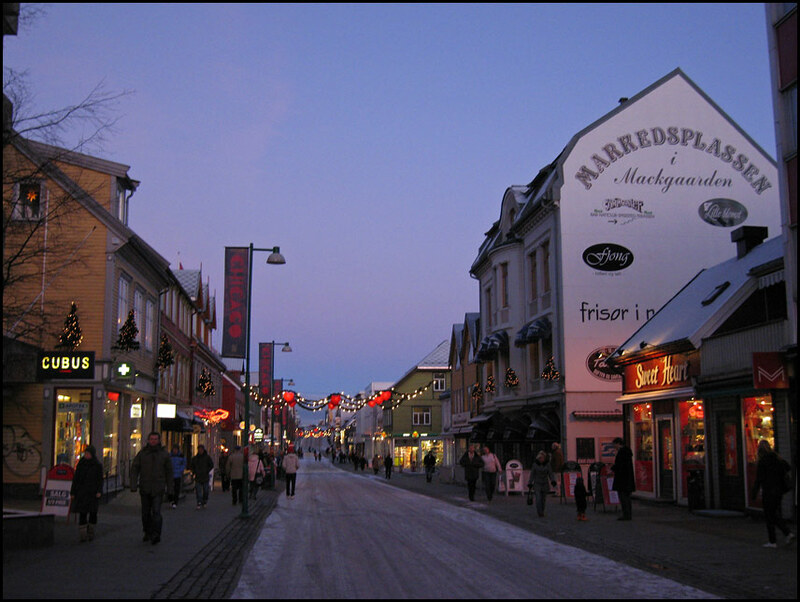 Me and my boyfriend will be in Tromso for holidays during the first week of Februari. 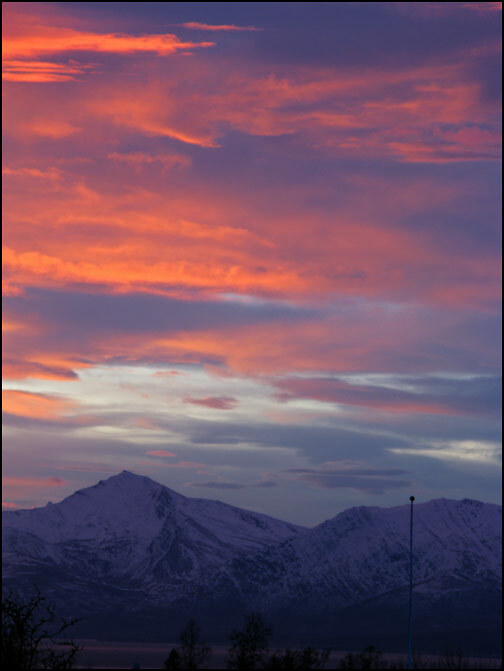 I’ve been looking on the internet for weeks now and I find it really hard to find activities that can be done in and close to Tromso. Would you have some advice?